I compose in acoustic and computer-driven media. Many of my mixed music (computer +traditional instrument) works explore interactive digital sound processing in which the computer is responsive to location and to the player’s idiosyncracies of timbre and tuning. 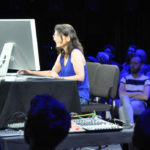 These pieces are simultaneously instruments, compositions, and structures that allow delimited free responses and interplay between the computer performer, the computer, and the instrumentalist. I have composed a handful of works for high density loudspeaker arrays up to 136 channels – a new domain–arguably an interface even–in which the exponential expansion of spatial information becomes a qualitative transformation of musical and sonic articulative possibilities. Writing music that changes listeners through the listening is a goal of mine. Compositional interests include micro-timbre, texture, tuning, and, spatialization. 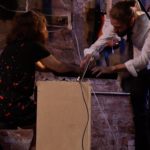 I value collaborative work, and have created new music with and for NYC performers including Marilyn Nonken, Margaret Lancaster, Ivan Goff, Maja Cerar, String Noise, TimeTable Percussion, loadbang, and Marianne Gythfeldt. I have also created new music for Sarah Plum, Abbie Conant, Jane Rigler, Louis Arques, and PRISM Quartet, occasionally performing on computer or self-crafted percussion instruments. I have also published theoretical work on electroacoustic and avant-garde musics that focuses on the significance of particular often indirectly perceived qualities in musics. Articles of mine appear in The Computer Music Journal, Organized Sound, Array, and Perspectives of New Music. Topics include point of view in abstract and representational electronic musics; spatialization as interpretive practice and ontologically; ethics of digital humanities’ archival practices; and musical embodiment and personal formalization in composition. 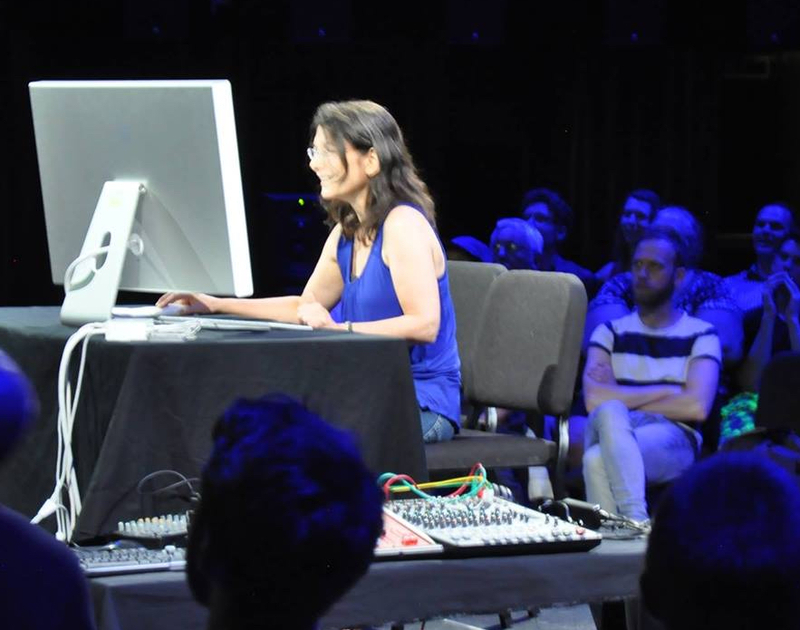 Teaching and research interests include the impact of the gendered world on women composing in general, and on women working with digital sound and technology, specifically. An invited contribution to The Cambridge Companion to Women in Music is upcoming. My music appears on empreintes DIGITALes, NEUMA, Centaur, World-Edition, Capstone, Innova, Everglade, and New Focus labels. Reviews cite my “visionary sound collages” (Chain DLK USA, Reviews). Prizes have come from the Bourges, Prix Ars, and Pierre Schaeffer international competitions, the Seattle Arts Commission, International Computer Music Association, the Jerome Foundation, the MacDowell Foundation, and the NEA. I teach in the Department of Music at NYU. Computer and electroacoustic music studies with Bülent Arel, Diane Thome, Richard Karpen, and John Rahn.